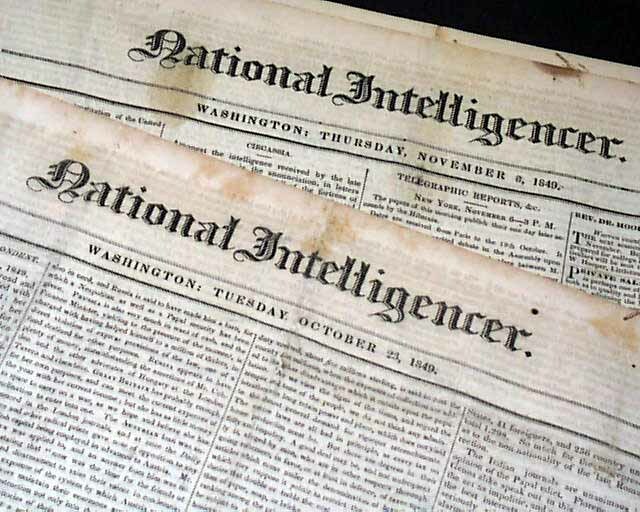 NATIONAL INTELLIGENCER, Washington, D.C., a lot of 5 issues from 1849. 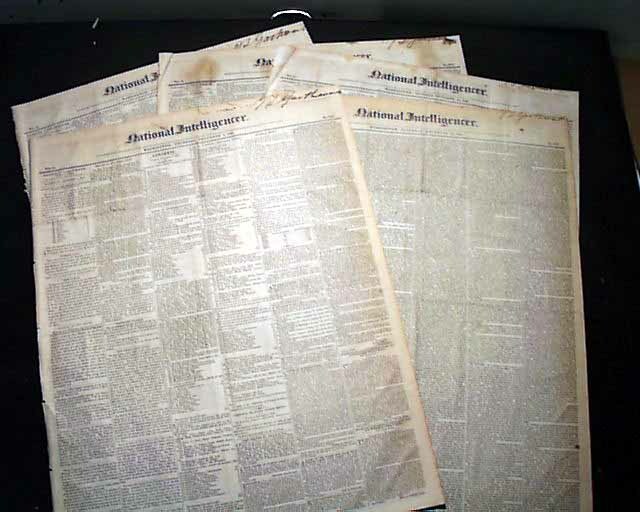 Although I find no Gold Rush content, there are articles of interesting from the period such as Indian reports, etc. Not "generic" issues but issues with content yet not worthy of individual sale. Four pages each, nice condition.